First look Huawei continues its push into the UK market this week with the Ascend G300, an affordable smartphone with admirable specs given its entry-level status. Ahead of its Blighty launch this Friday, I was given a sneak preview of the device. First impressions are that the G300 is a lightweight, bog-standard blower yet sports an impressive 4in capacitive touchscreen protected by Corning Gorilla Glass. Its 1GHz processor with 512MB of Ram deliver enough grunt for streaming media without a hitch, which looks respectable on the 480 x 800 display. Images taken with the handset's 5Mp camera look fairly decent too, so nothing out of the ordinary there. 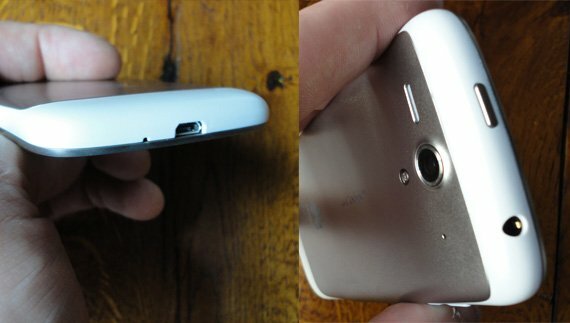 Although there's just the 2.5GB of internal storage, crack it open and the microSD slot is good for an extra 32GB. It has a regular-sized Sim and removable battery – a breath of fresh air given the unibody styles the market is clearly trending towards. Still, the company assured Reg Hardware that all of its handsets for the foreseeable future will feature a removable juice pack. Phew. This one has a capacity of 1500mAh and with Huawei's patented power management tech, a decent talk time should also be achievable. 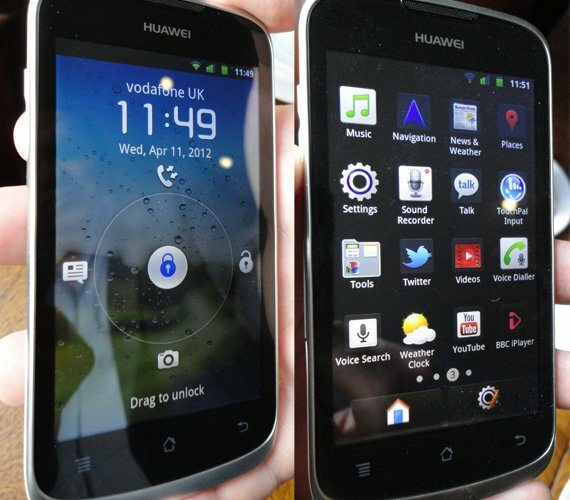 Huawei states that an Android 4.0 ICS patch is inbound this summer and as the UI customisation is minimal, apparently it can be implemented quicker and easier than some rivals. Until then, the Android 2.3 Gingerbread UI is recognisable and nothing spectacular, but the company has added a nifty unlock feature that stands out from the crowd. 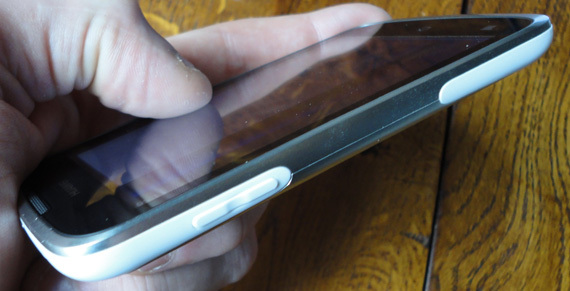 Users can swipe directly into popular apps they might use from the unlock screen, accessing text mode or dial screens instantly. Convenient enough to save a few minutes every day, probably. Other than that, there's little that makes the G300 stand out except for its affordability – it could be one of the cheaper routes to Ice Cream Sandwich assuming that update materialises. 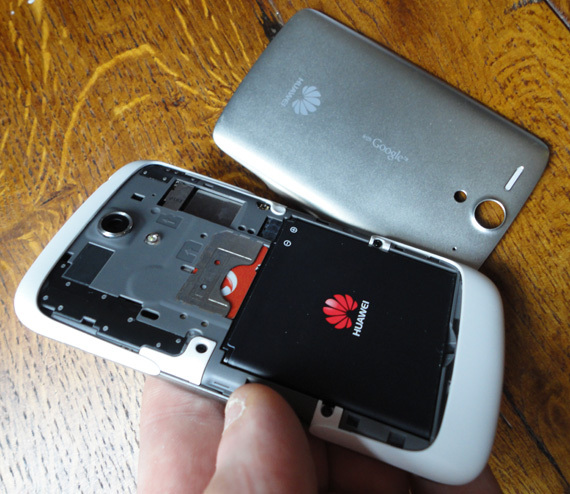 Certainly, Huawei is making an aggressive thrust into the UK market with the G300 which, with its respectable CPU, offers a lot of bang for buck. Inevitably, corners are cut elsewhere though, evident in its aesthetically underwhelming chrome and white finish. If you're tempted by the brand, but have the money to get something snazzier, then the company's higher-specced beasts, the Ascend D Quad and Ascend P1, which touchdown later this year may prove more appealing.